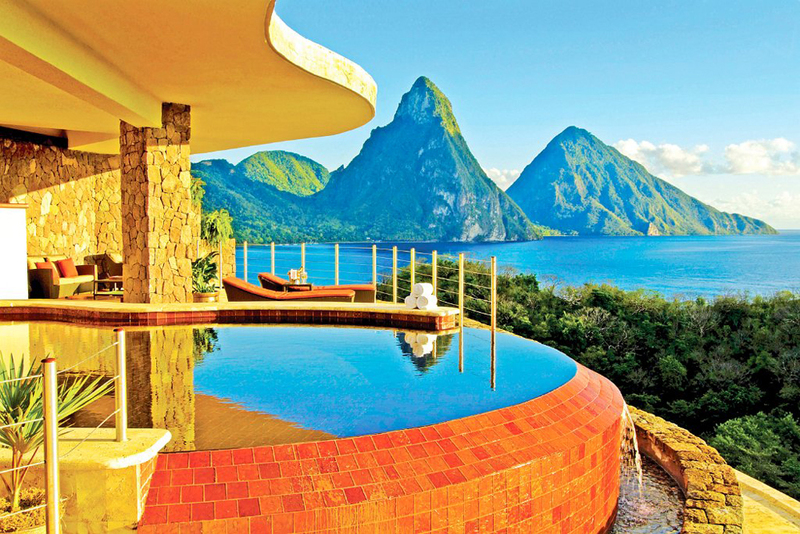 Placed on a hillside, rising majestically above the 600 acre beach, Jade Mountain Resort on St. Lucia’s south-western Caribbean coastline is a cornucopia of organic architecture. 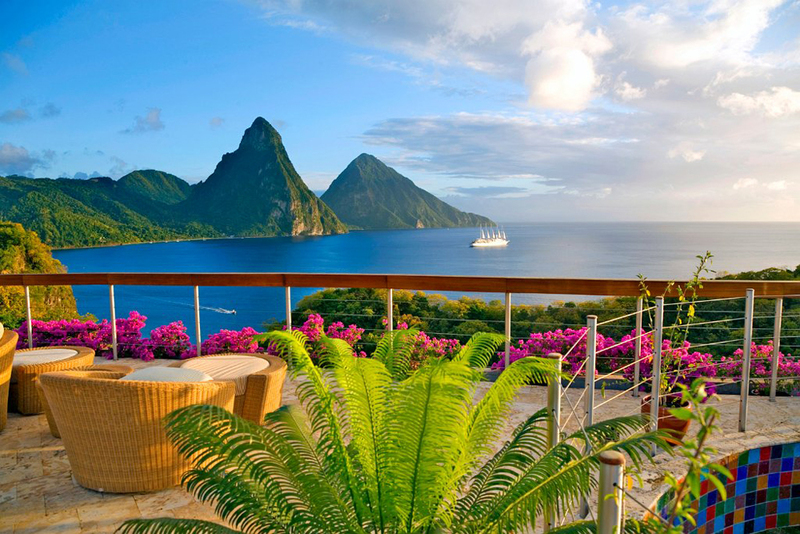 Celebrating St. Lucia’s stunning scenic beauty, this exquisite resort has been innovatively designed to integrate with nature and is a hopeless romantic’s dream. 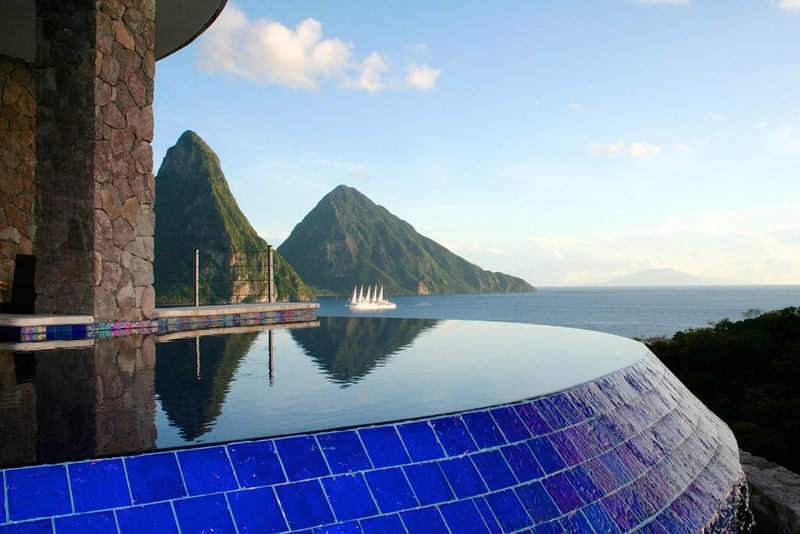 The bold architectural design – individual bridges leading to exceptional infinity pool sanctuaries and rugged stoned-faced columns reaching towards the sky – makes Jade Mountain St. Lucia one of the Caribbean’s most mesmerizing resort experiences. 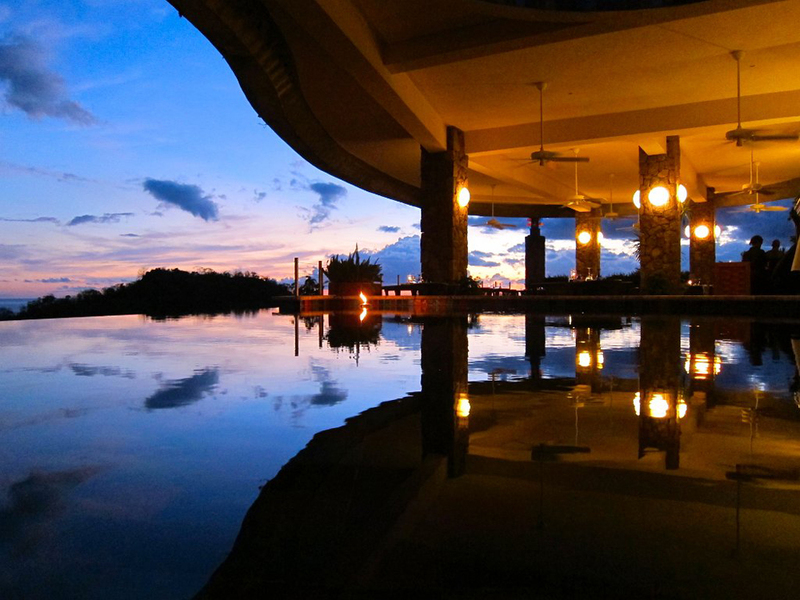 Individual bridges lead to unique suites featuring a king size bed, living area, bath and rain shower all in one extravagantly sized living area. 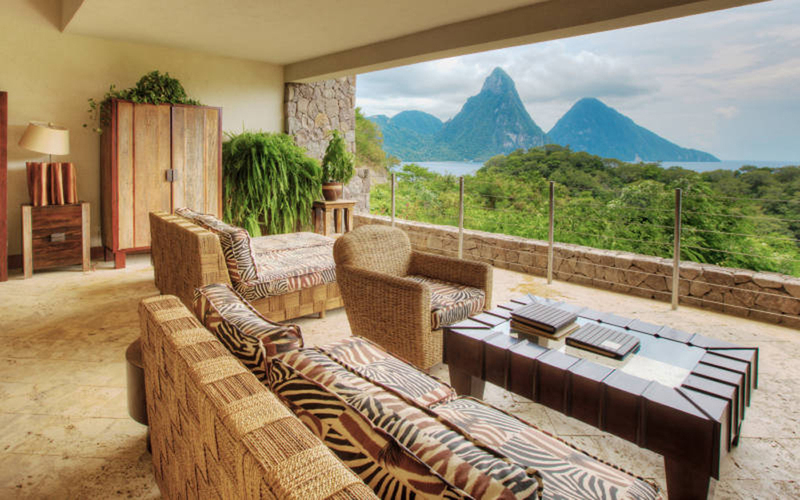 Without any telephones, radio or televisions, you can enjoy in sounds of nature, awaken with birdsong and beautiful smell of tropical flowers. 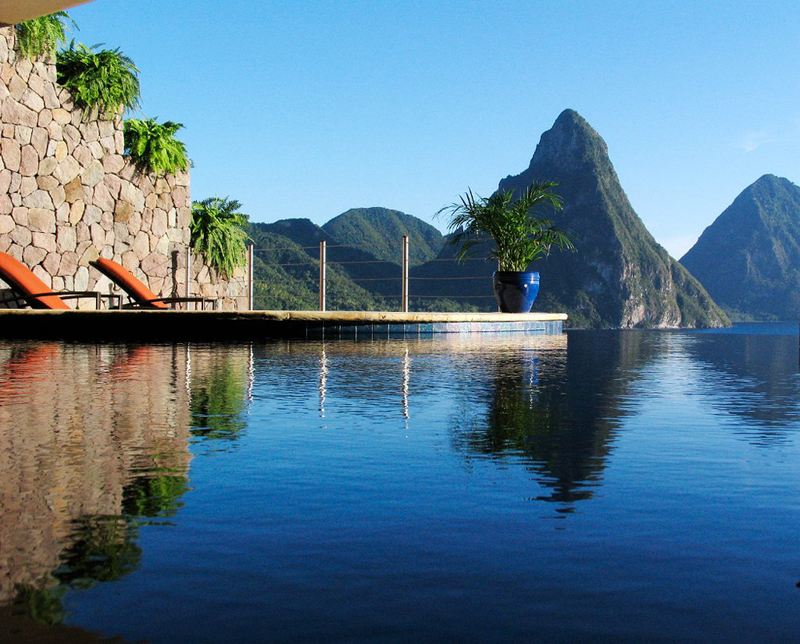 In Jade Mountain Resort you can expect grand sweeping spaces where bedroom, living area and an extravagant private infinity pool glide which reflects the changing colors of the sky, into one another forming extraordinary floating platforms out into nature. 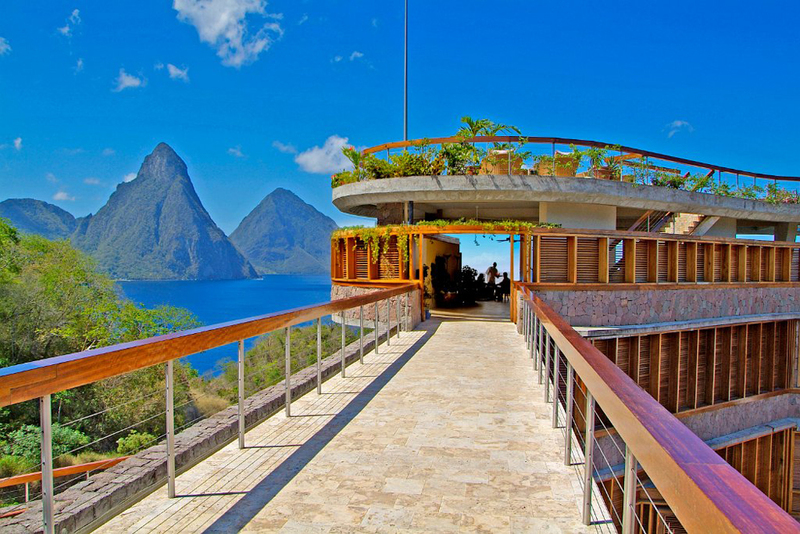 The Jade Mountain Resort combines exquisite dining with spectacular views. 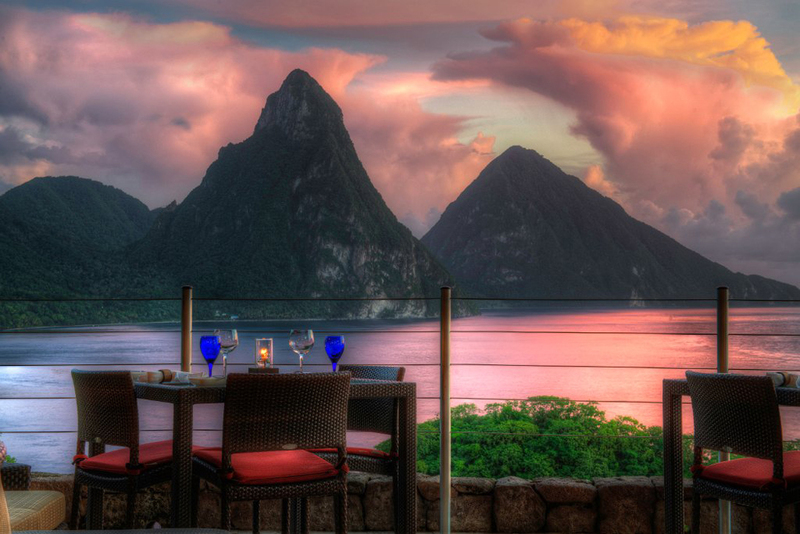 Seasonal menus showcase modern fusion cuisine infused with bold Caribbean flavors. 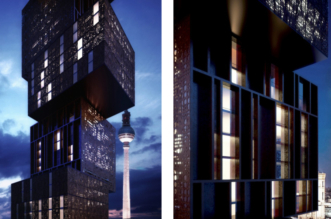 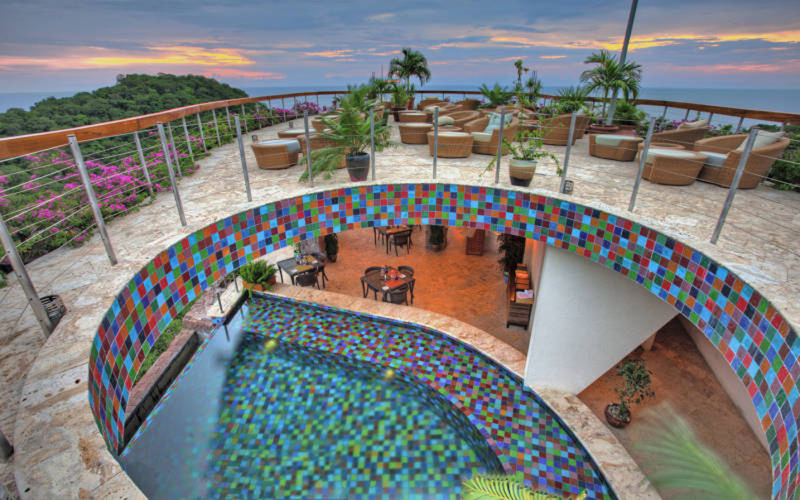 The Celestial Terrace offers a romantic spot for watching sunsets or star-gazing. 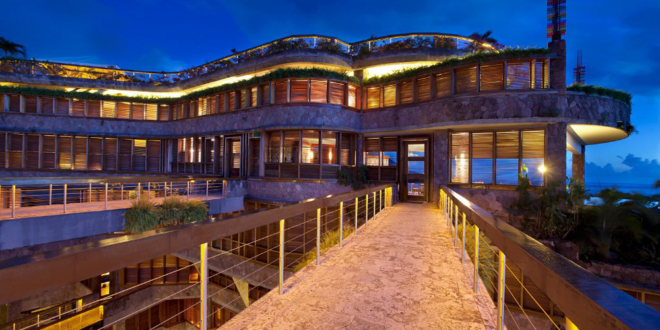 You can also dine at any of the restaurants and with short walking you can go directly to the two lovely beaches. 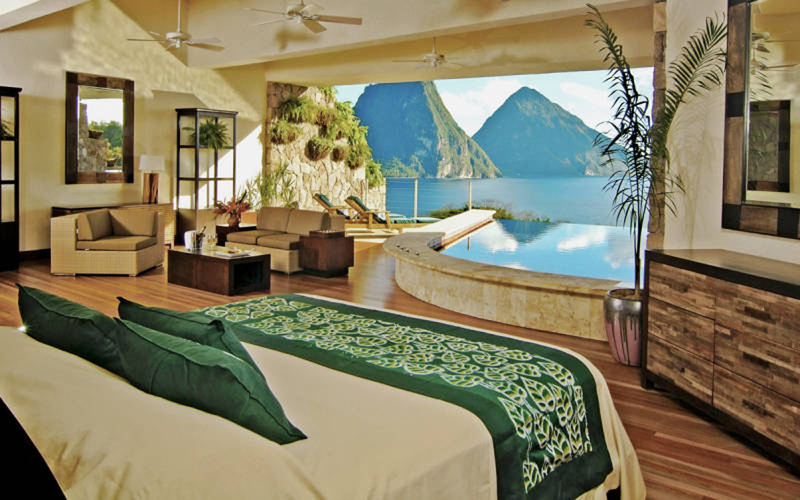 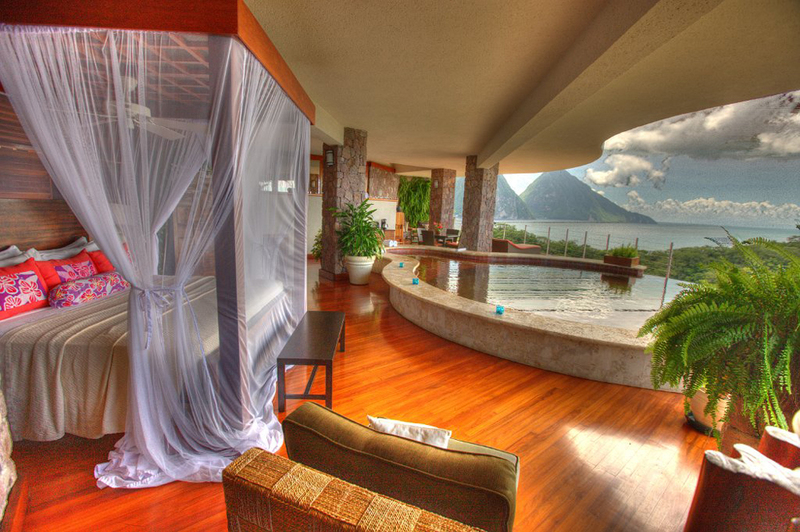 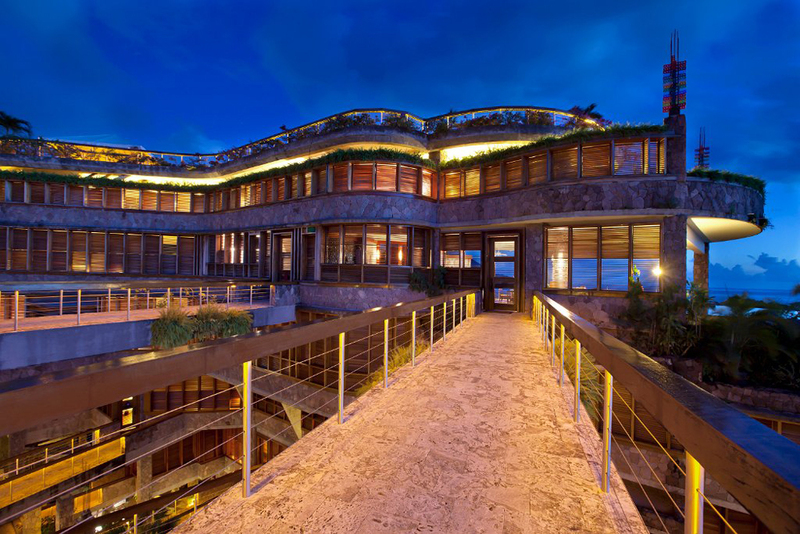 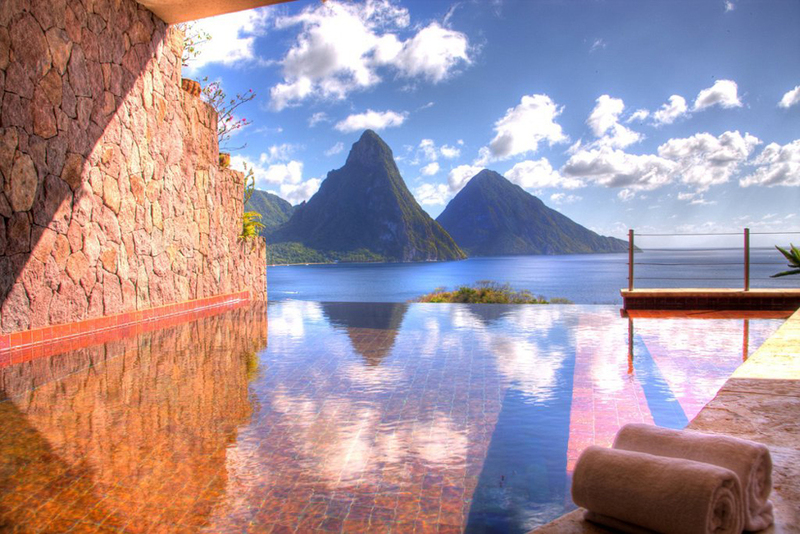 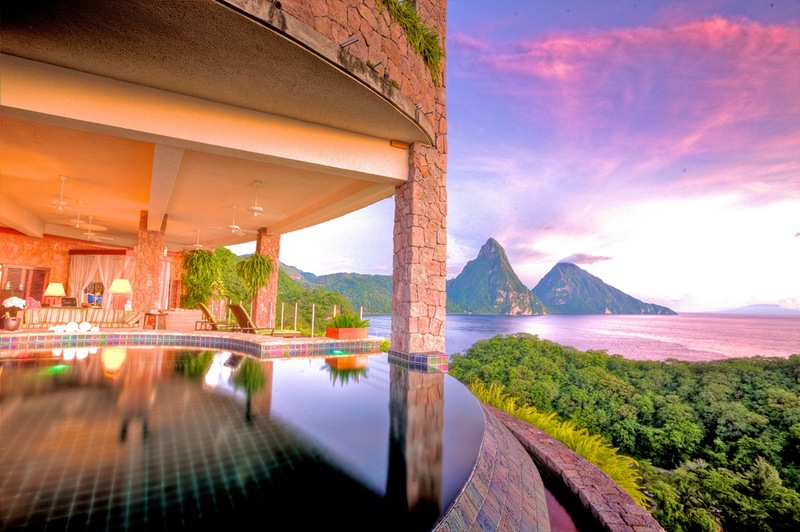 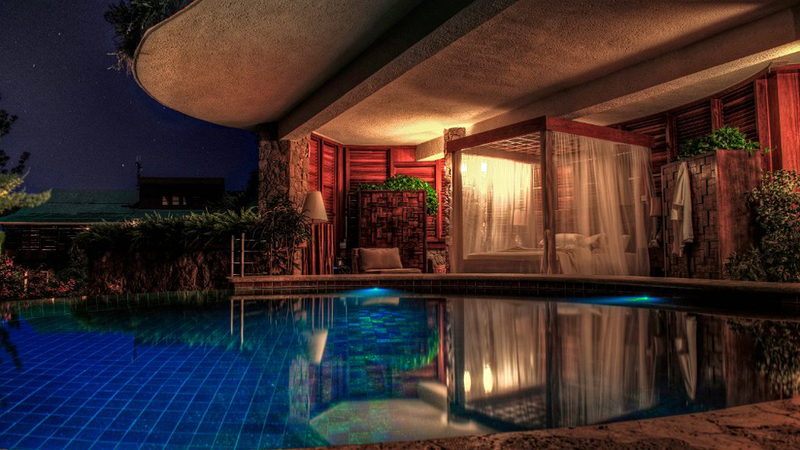 This unique and luxurious hill side Jade Mountain Resort offers ultimate romantic retreat.